Carlos Luis de Borbón, Duque de Montelimon was born on 31 January 1818 at Madrid, SpainG. 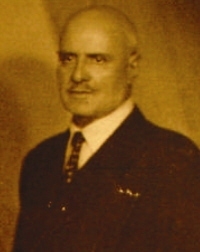 He was the son of Carlos Maria de Borbón, Duques de Molina and Maria Francesca de Bragança, Infanta de Portugal.1 He married Maria Carolina di Borbone, Principessa di Borbone delle Due Sicilie, daughter of Francesco I di Borbone, Re delle Due Sicilie and Maria Isabel de Borbón, Infanta de España, on 10 July 1850. He died on 13 January 1861 at age 42 at Trieste, ItalyG. He was the Carlist claimant to Spanish throne, styled Carlos VI. [S12] C. Arnold McNaughton, The Book of Kings: A Royal Genealogy, in 3 volumes (London, U.K.: Garnstone Press, 1973), volume 1, page 315. Hereinafter cited as The Book of Kings. [S12] C. Arnold McNaughton, The Book of Kings, volume 1, page 316. [S12] C. Arnold McNaughton, The Book of Kings: A Royal Genealogy, in 3 volumes (London, U.K.: Garnstone Press, 1973), volume 1, page 316. Hereinafter cited as The Book of Kings. [S12] C. Arnold McNaughton, The Book of Kings, volume 1, page 315. 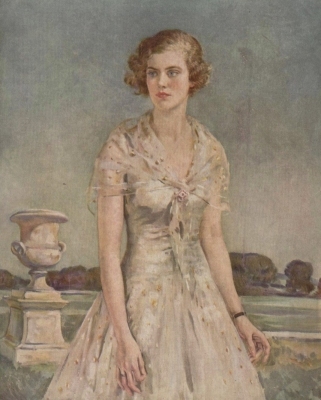 Lady Mary Lygon was born on 12 February 1910.1 She was the daughter of William Lygon, 7th Earl Beauchamp and Lady Lettice Mary Elizabeth Grosvenor.1,2 She married Vsevelod Ivanovich Romanov, Prince of Russia, son of Ivan Konstantinovich Romanov, Prince of Russia and Helena Karageorgievich, Princess of Serbia, on 31 May 1939 at London, EnglandG.1 She and Vsevelod Ivanovich Romanov, Prince of Russia were divorced on 10 February 1956 at London, EnglandG.1 She died on 27 September 1982 at age 72. [S3656] Dorothy Madsen, "re: Gardiner Family," e-mail message to Darryl Roger LUNDY (101053), 6 March 2009. Hereinafter cited as "re: Gardiner Family." [S12] C. Arnold McNaughton, The Book of Kings: A Royal Genealogy, in 3 volumes (London, U.K.: Garnstone Press, 1973), volume 1, page 78. Hereinafter cited as The Book of Kings. [S12] C. Arnold McNaughton, The Book of Kings, volume 1, page 220. [S12] C. Arnold McNaughton, The Book of Kings, volume 1, page 222. [S5] Dulcie M. Ashdown, Victoria and the Coburgs (London, U.K.: Robert Hale, 1981), page 27. Hereinafter cited as Victoria and the Coburgs. Christian August Prinz von Anhalt-Zerbst was born on 29 November 1690 at Dornburg, GermanyG. He was the son of Johann Ludwig Prinz von Anhalt-Zerbst and Christine Eleonore von Zeutsch. 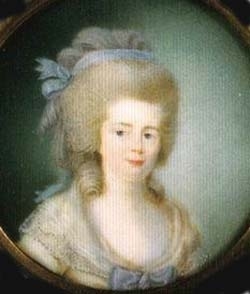 He married Johanna Elisabeth Prinzessin von Holstein-Gottorp, daughter of Christian August Herzog von Holstein-Gottorp and Albertine Markgräfin von Baden-Durlach, in 1727 at VecheldeG.2 He died on 16 March 1747 at age 56 at ZerbstG.